The UN rights chief said on Monday that Myanmar clearly “planned” violent attacks on its Rohingya minority, causing a mass-exodus, and warned the crackdown could possibly amount to “genocide”. “For us, it was clear … that these operations were organised and planned,” UN High Commissioner for Human Rights Zeid Ra’ad Al Hussein said in an AFP interview, Mizzima News reports. Doctors Without Borders said on last Thursday that at least 6,700 Rohingya were killed in the first month of a Myanmar army crackdown on terrorists in Rakhine state that began in August. And more than 655,000 of the Muslim minority have fled across the border into Cox’s Bazar district in southeastern Bangladesh since the army campaign began. 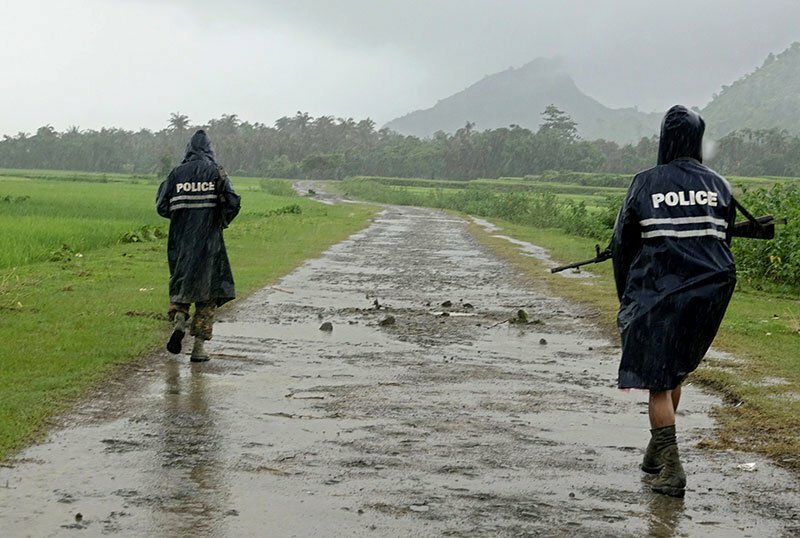 Myanmar has consistently denied committing atrocities in Rakhine, saying the crackdown was a proportionate response to the Rohingya terrorists who attacked police posts on August 25, killing around a dozen officials. But Zeid said the evidence did not seem to support that, pointing to an upsurge in violence last year that had already prompted some 300,000 Rohingya to flee to Bangladesh. His office, which has not been granted numerous requests to access northern Rakhine, published a report last February after speaking to refugees in Cox’s Bazar who spoke of “horrific, horrific crimes, the hunting down of children and cutting their throats,” Zeid said. “My suspicion was that the first (smaller) operation was a dry run for the second,” he said. If the crackdown on the Rohingya was “organised and planned, it wasn’t incidental violence that resulted from a counter insurgency operation,” he said, also pointing out that civilians were clearly targeted. “Why go after a little child if your actual target is an insurgent?” he asked. He voiced hope that perpetrators of the violence would eventually be held accountable. Asked about what level of responsibility for the violence should be attributed to Myanmar’s civilian leader and Nobel Peace Prize laureate Aung San Suu Kyi, he said that too would be up to the courts to determine. “To what extent could she have said the right thing or prevented this? You also have the crime of omission: if you’re fully aware that these developments were taking place and did nothing to end them you could be held responsible,” he said. “A court will have to determine to what extent she had power over the military. She had power to rescue herself, to resign and not to be associated in any way with these developments, and the evidence will point eventually to who’s culpable and who isn’t.